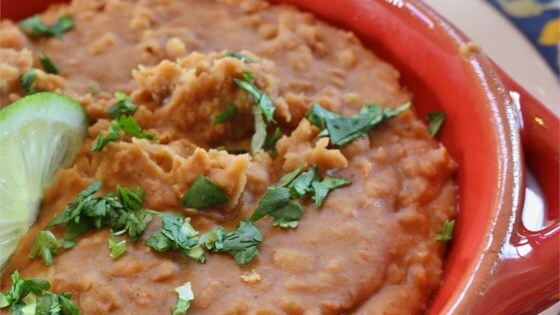 "When you don't have all day to make refried beans and you can't stand the canned ones, these are easy and delicious." First time I made this I drained the beans. Second time, did not drain, liked them much better.